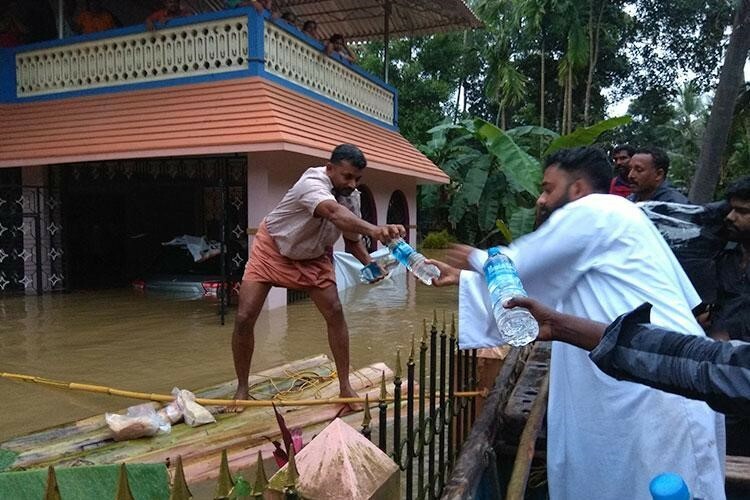 STONEY CREEK, ON, August 22, 2018 /24-7PressRelease/ — GFA-supported workers (formerly: Gospel for Asia, www.gfa.ca) are stepping up efforts to help with rescue and relief efforts in India’s flood-stricken Kerala state, as the death toll and number of displaced people in the worst flooding in nearly a century continue to climb. GFA-supported teams have used boats to search for and rescue some of the missing, and visited relief camps to deliver urgently needed supplies, including medicines, food, water and toiletries. Workers at GFA-supported Bridge of Hope centres have also been distributing supplies. One man who joined with GFA-supported workers spoke of working for eight hours to save his mother-in-law and some of her neighbours. GFA (formerly: Gospel for Asia, www.gfa.ca) and its worldwide affiliates have—for almost 40 years—provided humanitarian assistance and spiritual hope to millions across Asia, especially among those who have yet to hear the Good News. Last year, this included more than 70,000 children, free medical services in over 1,200 villages and remote communities, 4,000 wells drilled, 11,000 water filters installed, Christmas gifts for more than 200,000 needy families, and spiritual teaching available in 110 languages in 14 nations through radio ministry.